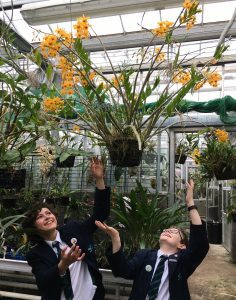 According to Otto and Ed, this is an orchid species worth celebrating. 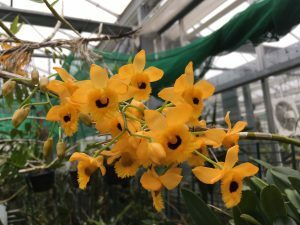 Dendrobium fimbriatum is an orchid we have seen growing abundantly in Sikkim and Arunachal Pradesh in semi-deciduous trees in warm lowland forests up to about 1000m. In the wild it makes large dramatic specimens just like this one in our Warm Asia section.